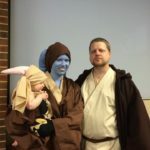 (Wheaton, Illinois) The force is strong as Gilead Publishing acquires Enclave Publishing, the premiere publisher of science fiction and fantasy from a Christian perspective, and welcomes an imprint with a realm of possibilities. 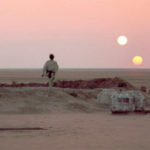 Despite the changing of hands, Enclave Publishing won’t stray from its galaxy far, far away as Enclave Publisher Steve Laube will oversee the imprint. Ravenous indeed. Gilead is set to release 8 titles from the Enclave imprint for Summer and Fall 2016. There is no dark side to this partnership. They desire to keep me a part of the process because of my love for the genre and the experience I bring to the ongoing publishing efforts (which only shows you can fool some of the people some of the time). Thus they have asked me, as a consultant, to be the Publisher for the Enclave imprint. I still get to set the vision for the imprint and acquire all new titles for Enclave. The name will not change; it will simply become an imprint of a larger entity (much like Bethany House is an imprint of the Baker Publishing Group). In practical terms, nothing will change on the acquisitions side of Enclave. The only difference is that the company is now part of a larger team to help move it forward. We will still plan on 12 or more new Enclave titles per year and now the production, sales, and marketing will be shared among people who have expertise in each area. You may sense my excitement for the future of Enclave, and for the genre as a whole. This is something I’ve been hoping would happen in the Christian market for a long time. It is a dream come true to be a part of that! I take this change and Steve Laube’s enthusiasm about it to mean that Enclave is actually growing. It’s great news as far as I can determine. It’s fitting because Christian speculative fiction seems alive and well. 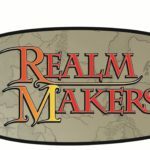 The Realm Makers conference to be held in Pennsylvania this year on July 28-30 opened registration earlier this month. Once again the line of faculty is impressive, starting out with keynote speaker Thomas Locke, the top-selling novelist also know as Davis Bunn. Others include Kathy Tyers, Tosca Lee, Patrick Carr, Mike Duran, and Steve Laube. There’s more speculative news. At the conference a new award for editing will be launched. The Christian Editor Connection, founded by Kathy Ide, is partnering with Realm Makers to launch an award for editing. 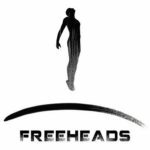 The first of its kind, for editing in the speculative genre, will be presented at Realm Makers. One more bit of good news: this past week I was on the faculty of the Orange County Christian Writers Conference here in Southern California. 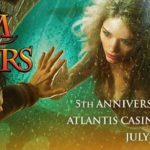 So were other writers and editors in the speculative genre, such as Merrie Destefano, Mike Duran, Lindsay Franklin, Rachel Marks, and Ben Wolf. Because there were a substantial number of us, as you might expect, a number of conferees with interest in in speculative fiction attended. Some found the number surprising. I didn’t. I’m convinced there are an increasing number of Christians who love the genre, and as a result, more and more are writing speculative fiction. 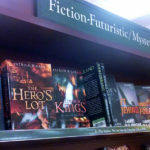 With a few Christian publishing houses which seem committed to the genre, and with more agents open to represent authors writing speculative fiction, some knowledgeable of the general market as well, and with self-publishing a wonderful alternative, I don’t see an end to the number of writers committed to speculative fiction. Update: On May 11, Christian Geek Central provided a video version of this article.